Supernatural horror The Axiom debuts a new poster for the American market. 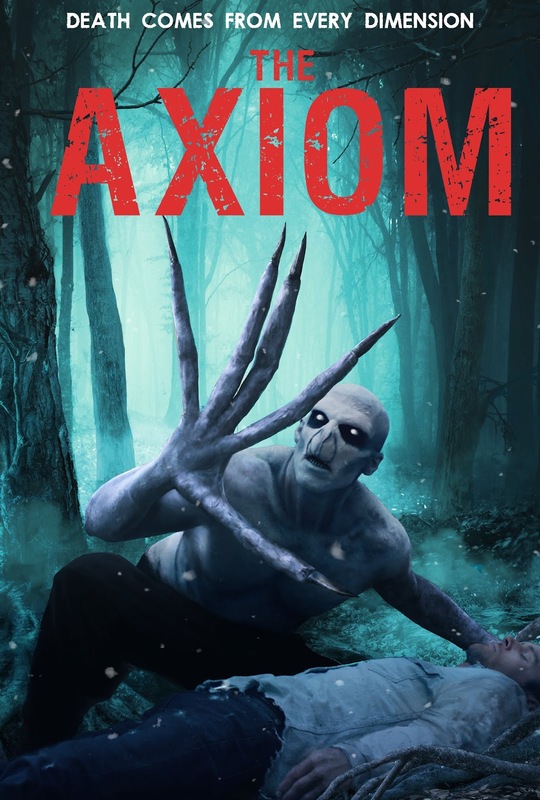 Vertical Entertainment will release Nicholas Woods’ multi-dimensional Horror The Axiom on February 12th 2019 with a wide home entertainment release, hitting major VOD and Digital platforms. Devilworks, a leader in genre film sales drops the slick new artwork for the domestic release. At the risk of her friend’s safety, a woman travels into a National forest in search for her missing sister. Once in the wilderness, they discover they have entered a multi-dimensional world full of monsters. The Axiom, which stars William Kircher (The Hobbit Franchise), Hattie Smith, and Nicole, Dambro (Pitchfork) screened at prestige festivals, such as Bucheon Fantastic in Korea, Sitges in Spain, Feratum in Mexico (winning best Science- Fiction), Hard-Line in Germany, Horrorthon in Ireland and Other World’s Austin.